If you like Advocare Spark, this is basically the same thing. I used Spark for the last 3 years, after a recent move from Texas to Colorado I lost my Advocare hook up (was getting it at discounted price) I started researching a cheaper alternative to Spark and came across this. I mainly drank the cherry, watermelon, and blue raspberry flavors I would get a fruit punch canister now and then. I would venture to say if someone gave me 2 drinks one fruit punch spark and one morning buzz Id be hard up to tell which is which. This stuff is EXACTLY like Spark, its fantastic. I will definitely be buying more and glad I came across it. I used the free shipping option and it came on the day it said nicely packaged. Very satisfied I hope this company thrives and keeps the prices affordable. Hope this helps some of you. Good stuff! it tastes just as good as Spark and gives you the energy and vitamins … For the longest time, I was a huge fan of AdvoCare’s Spark. My wallet was taking a huge hit each month, spending $55 each time I bought a tub. I started looking for a substitute on Amazon and found this!! You guys, it tastes just as good as Spark and gives you the energy and vitamins too! I will never go back to Spark. I have only tried Fruit Punch, and it tastes so good! Trust me on this! Never bought such type of product. Seems to work. I have never bought such type of product before. 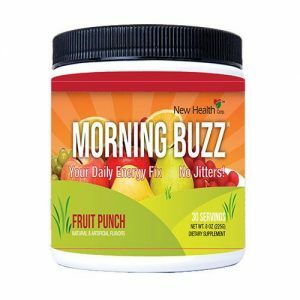 I choose it because I love the name MORNING BUZZ, and I do need some sports drink before morning workout. Why not try it? Seems to work so far. Tastes: It is kind of sweet, with fruit flavor, which should be normal, but also with ALMOND taste, which I am not sure is usual or not, as I have not ever bought such type of product before. Anyway the taste is not my major concern, so it is OK.
Solubility: It is easily dissolved in water. Although next time I will fill in water in the glass first, then add the powder. Awesome drink. After drinking Moster for a year straight, it had really made me gain weight, let alone the health factor. I felt tired all the time. This drink is the best. I replaced my daily monster with this energy drink. I like that it is a multivitamin as well. The caffeine is perfect and you can mix it as light or strong as you prefer which is nice. Both the fruit punch and orange are good. I prefer the orange as I drink it in the morning. Wish it was a little cheaper. I do not feel I get quite 30 drinks out of this even at one scoop. Otherwise, it is a great product as stated. 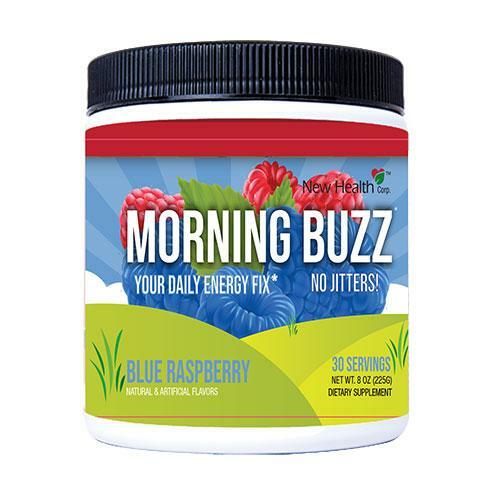 Morning Buzz (love the name) has some good stuff in it which is suppose to jump start my metabolism. I’m not a coffee drinker so I thought I’d give this a try. I like the fact that I’m getting some essentials into my body while drinking. It has a good (strong) fruit flavor and best of all there is no “grit” in the bottom of my cup at the end. So far, I’m a fan! I am going to adjust my recommendation to give more info for this product. My partner is going through a severe detox program for removal of heavy metals from his body. One of the side effects from this is extreme fatigue. 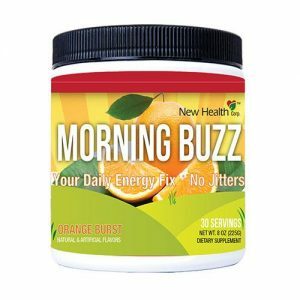 After taking this product into the doctor for inspection to make sure of what his nutrient regiment was going to be….this was heartily approved as a natural way to inject some energy into his body after removal of the metals. He loves the flavor as well as the energy benefits. We will be ordering this throughout his detox journey.